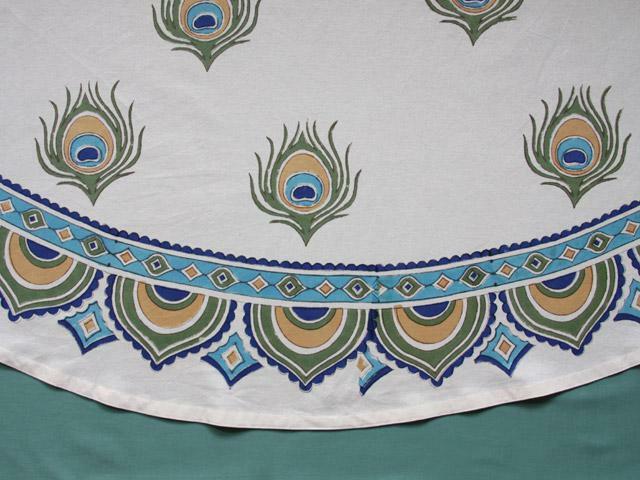 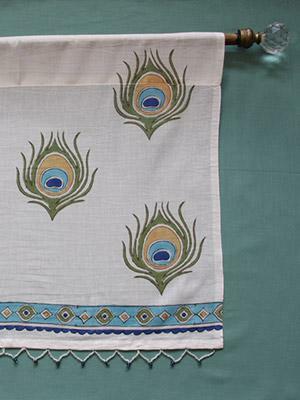 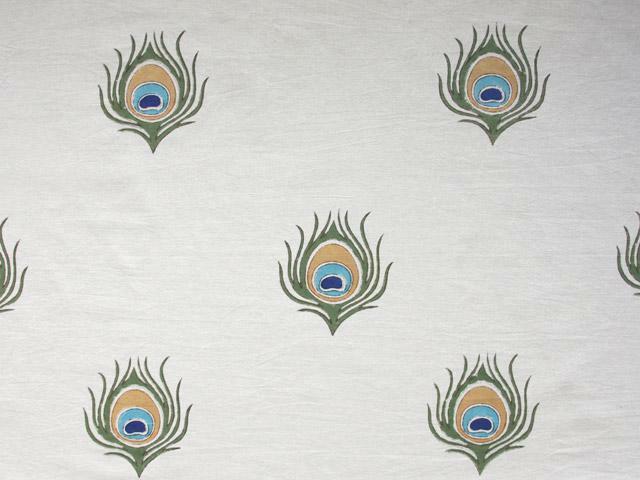 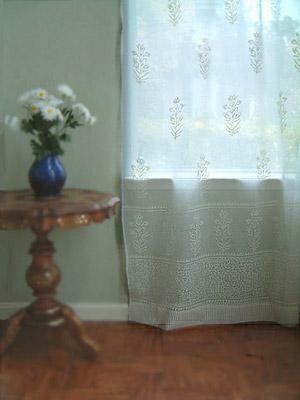 An elegant, peacock feather print; rendered in forest green, ochre, turquoise and cobalt blue; serenely patterned across an ivory ground. 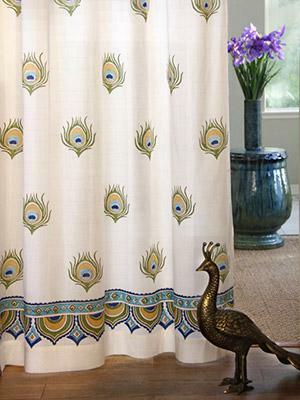 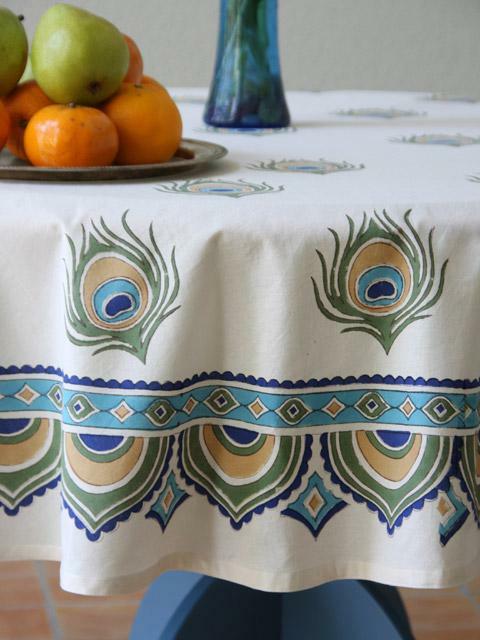 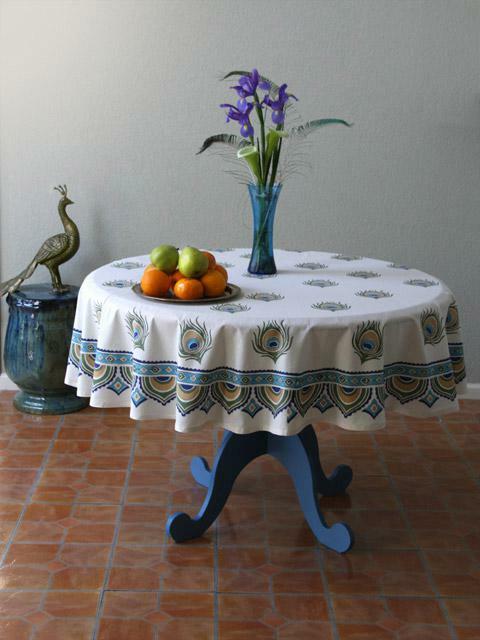 The dazzling colors of this peacock print tablecloth could have you or your guests dancing, like the flamboyant bird that inspired it. 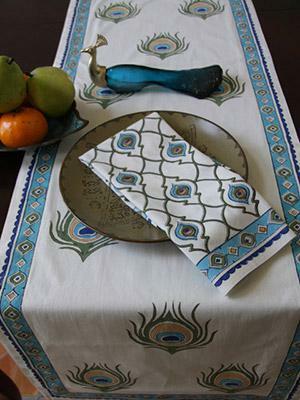 Now would be the time to use ... [ read more ] some of that gold banded dinnerware and gilded flatware. 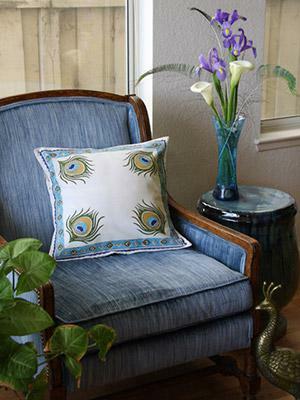 Use deep saturated blue and green in small amounts, with larger accents in ochre and ivory, to create a atmosphere of playful, modern sophistication.